How do you celebrate a milestone? 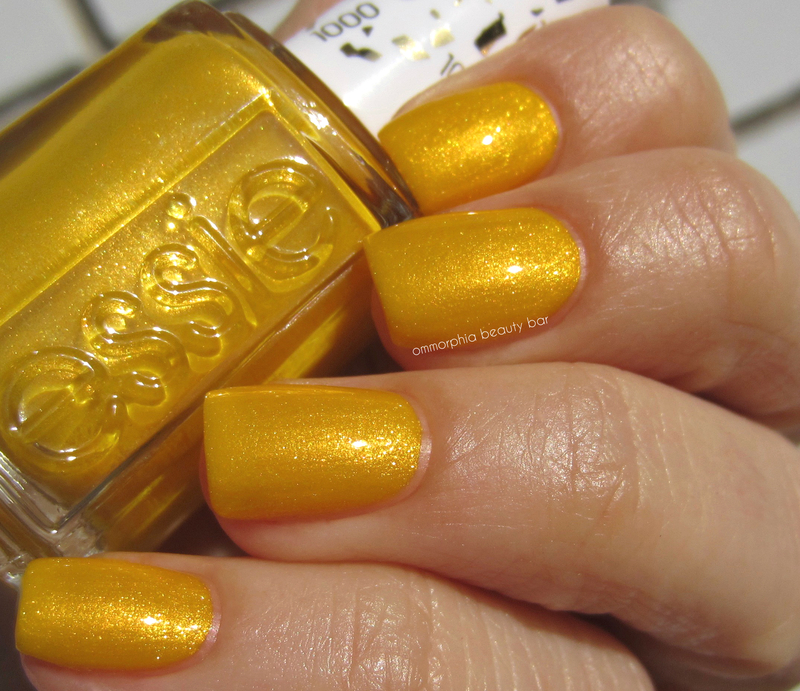 If you’re Essie, you do it with a glorious and uplifting happy yellow shade, give it a naughty name, then dress up the cap for good measure. 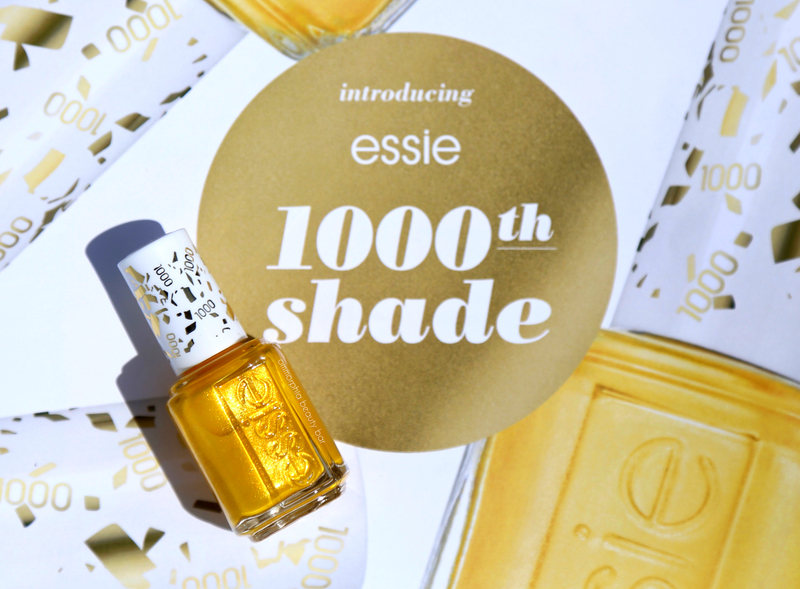 Introducing … drumroll … Essie’s 1000th shade (1000 – how crazy is that? 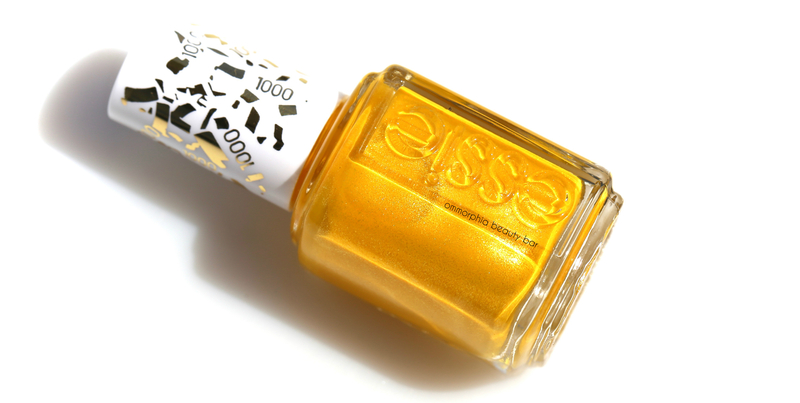 ), Aim to Misbehave, limited edition and launching May 31 at all Essie retailers. 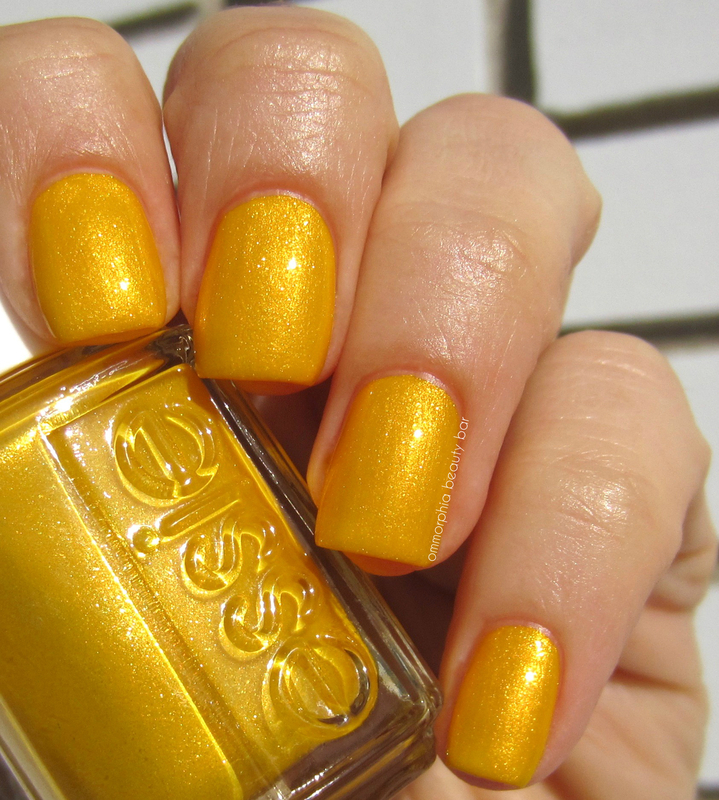 I have to hand it to Essie; they sure now how to get the party started and while yellow (whether it’s nail polish, makeup, or even clothing) is not something I wear all that often (as in basically never), once I applied Aim to Misbehave I literally did not want to take it off. Know why? It makes me happy. It’s crazy fun to look at. It’s so unique. All of the above. 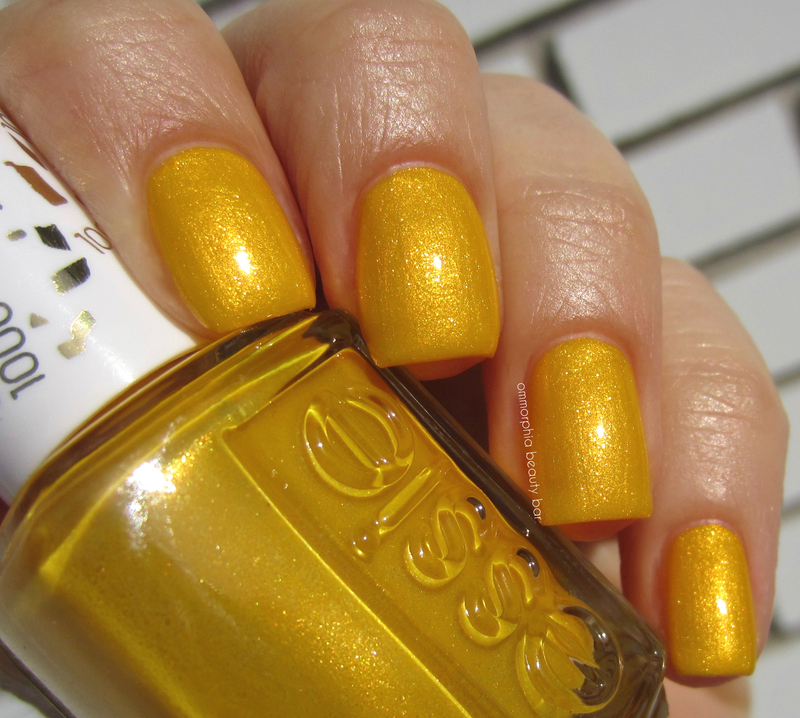 Even my Manigeek buddy agrees – this is one awesome shade, and so worth joining one’s collection. 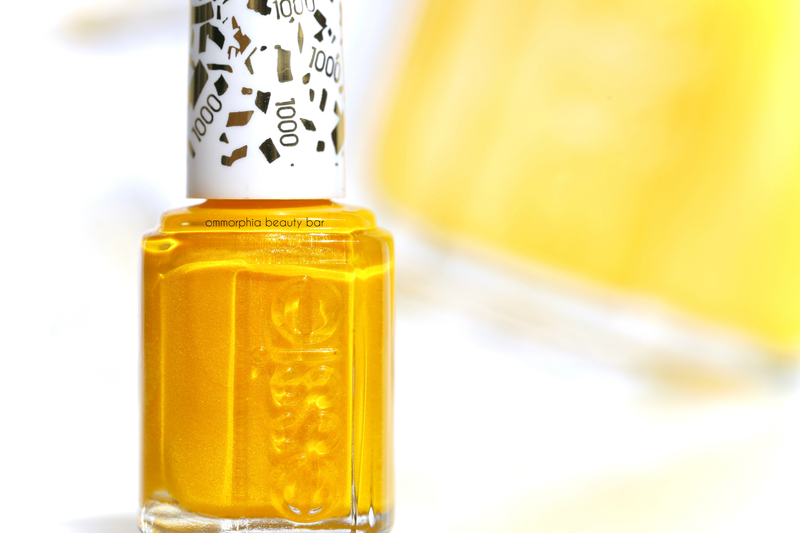 So, spill: are we digging the yellow? let me know! FYI – This is already available at my local (Northern CA) Ulta. Look now if you hope to get a bottle! 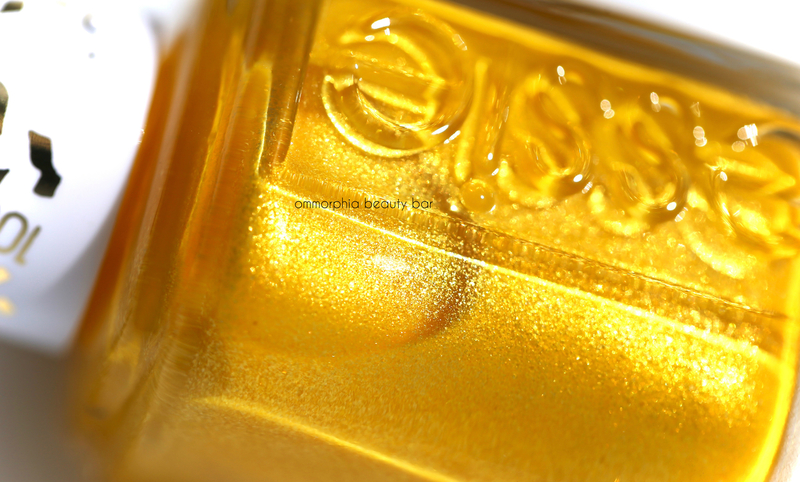 I love the color – looks like liquid sunshine to me. And as always, thanks for the amazing blog – I even love the posts about make-up that I’ll never wear! Thanks for the heads up, Cindy! I’m actually based in Montréal, Canada and sadly there are no Ulta stores here. I do agree; it does look like liquid sunshine! And happy to hear you like my reviews! Eh… I’m not sold on the colour. I just don’t think it would suit my skin tone! 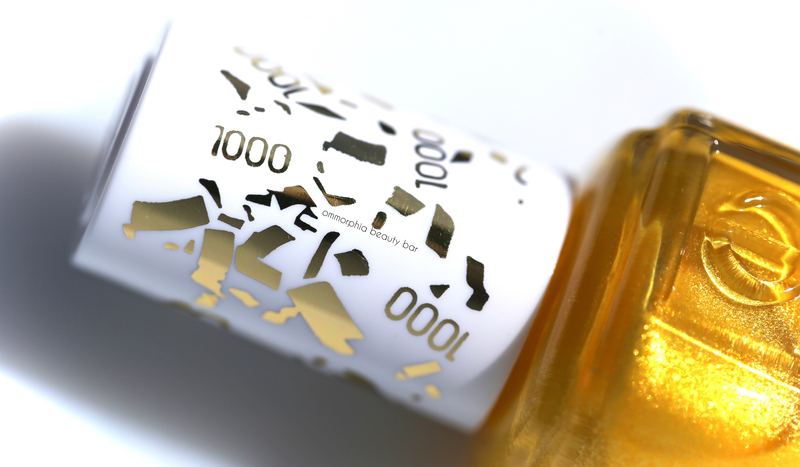 The formula does look stellar though. Maybe I need to step outside my comfort zone? I don’t wear yellow either, mainly because I have some golden undertones in my skin and yellow is a shade that usually clashes on me. 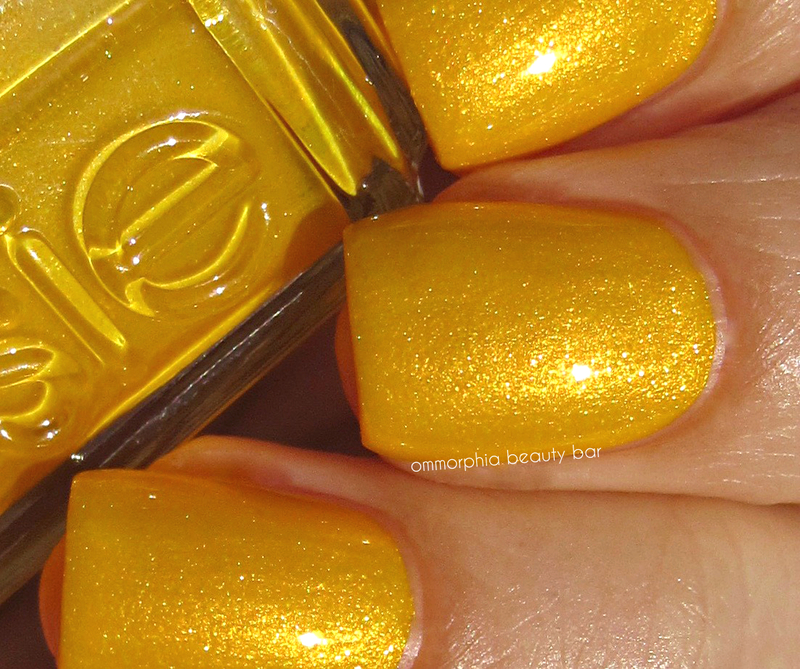 That being said, Aim to Misbehave is like yellow on steroids; the gold + shimmer make it so unique and rich-looking, and for some reason this colour doesn’t clash on me at all — so yes, I’d say go ahead and step out of that comfort box!